I'm a Fil-Am based in Hawai'i, and I know of Filipino folks who consider themselves "Asians" and I also know others who consider themselves "Pacific Islanders." What do you think -- what are we really? I don't know about you, but I kinda liked the theory of that guy in the video about the Filipino people -- or Pilipino because there is no "f" in Tagalog -- being the "chosen" (pili in Tagalog) and "fine" (pino in Tagalog) people. :-) Except, of course, that assertion is pure bunk. :-( And as I said in an earlier post, Filipino is a derivative of "Las Islas Filipinas," the name the Spaniards christened the Southeast Asian archipelago they colonized in honor of King Philip II of Spain. But back to the question: Are we "Asians" or "Pacific Islanders"? While this question pertains to Filipinos, it is really an American issue because Filipinos in the Philippines are not vexed by this question at all. 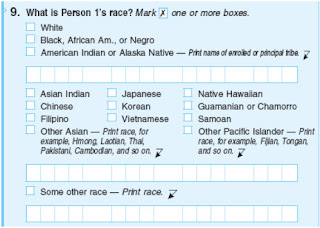 Ordinary Americans are honestly confused as to how to classify us (many typically think of Asians as only those from North Asia: China, Japan and Korea), while we, US-based Filipinos, are regularly faced with this "identity confusion" ourselves, at the most basic, when filling out forms which take this data into account. Which box to check? More importantly, however, we get confused, even insulted sometimes, when others, favorably or unfavorably, view and lump us with other ethnic groups because of how we look and how they view our culture, or exclude us from the group we think we rightfully belong. Most importantly, this question bedevils us when we want to reach out to be part of a bigger community with whom we can have a sense of affinity, kinship and pride. We are conflicted because we seem to be both and neither at the same time. You have to understand though that the correct classification boils down to the definition of terms. Are we of the folks who hailed from the same geographic region or of the folks who, generally, ethnically look like or act like us? In other words, does "Asian" or "Pacific Islander" refer to geographical provenance? If it does, we're actually both: because the Philippines is in Asia and it is a group of islands in the Pacific Ocean. But under this definition, the Japanese would also be both, even if they don't seem to be as contorted as we are by the labels. 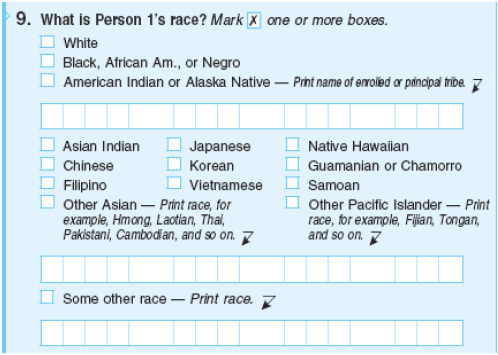 Now, if the term "Asian" or "Pacific Islander" refers to ethnicity, then I think both terms are misnomers. Actually, even if I concede that "Pacific Islander" may be a little more specific than "Asian" and conceivably acceptable as an ethnic classification, there is really no such thing as a single "Asian" ethnicity for the simple reason that the continent of Asia is so big and so diverse. By this definition, any school kid with the most elementary knowledge of geography would know the term "Asian" would encompass many ethnicities, including, among others, the yellow-skinned North Asians, the dark-skinned South Asians, the brown-skinned Southeast Asians, as well as the Persians, the Arabs and the Turks (who, by the way, also consider themselves Europeans because their country straddles the continents of Asia and Europe). In fact, it can be argued that "Pacific Islander" is just another subset also of the Asian umbrella of ethnicities. What exacerbates the issue really for us is that we have never been in the position to define these terms for ourselves. Thus, even if we do have historical and genetic kinship with the "Pacific Islanders," the US Census defined the term as referring to "people having origins in any of the original peoples of Hawaii, Guam, Tonga, Samoa or other Pacific Islands" and otherwise those "of Polynesian, Micronesian and Melanesian cultural backgrounds." And said government agency purposefully did not include the "Philippine Islands" as among those "other Pacific Islands." The term "Asia," on the other hand, is another Western construct -- i.e., "a concept exclusively of Western civilization." In fact, according to Wikipedia, "the peoples of ancient Asia (Chinese, Japanese, Indians, Persians, Arabs etc.) never conceived the idea of Asia, simply because they did not see themselves collectively," and the term was "first attributed to Herodotus (about 440 BC) in reference to Anatolia or -- in describing the Persian Wars -- to the Persian Empire, in contrast to Greece [Europe] and Egypt [Africa]." Coming from a heterogeous and polyglot society which has a colorful history of mass migrations (Negritos and Malays) and colonial occupations (by Spain, US and then Japan), the earlier waves of Filipinos who migrated to America became more contorted by racial identity issues because of ignorant and discriminatory American laws in the not-too-distant past. For instance, in California, a state anti-miscegenation law prohibiting interracial marriage between whites and "Negroes, mulattoes, or Mongolians" had been routinely applied to Filipinos because they were deemed members of the "Mongolian race." It took a controversial case, Roldan v. Los Angeles County (1933), for Filipinos to successfully argue that Filipinos are actually descended from the "Malay" race (which technically is, of course, not entirely accurate). However, the victory celebration was short-lived because the ever-reliable California legislature then, unhappy with the judicial decision, quickly responded by adding "Malay" to the restricted races because Filipinos then were viewed as "scarcely more than savages" whose "social problems were based almost entirely on their sexual passion." This reminds me: In keeping with the Thanksgiving weekend, I want to say I am just very thankful as a Filipino-American (emphasis on American) that our modern American society has successfully and quite impressively moved on from the ignorant and dark days of the Roldan era. You want proof? Look no further than the black (?) man in the White House -- your kababayan, no less! -- who, like many Filipinos, had also spent childhood years in Southeast Asia and who considers himself a "mutt," which most Filipinos are. Who are those Filipino backup singers for Justin Bieber? I saw Justin Bieber on Saturday Night Live one time and he performed with a young group of Filipino guys. Who are they? They're Micah Tolentino, Chris Abad, Delfin Lazaro and Dominic Manuel -- members of the San Francisco Bay Area R&B group called Legaci. The New York Times featured the group in an article entitled "Unexpected Harmony," calling them "the most visible yet invisible pop figures in the world." Do you think Manny Pacquiao is the best boxer that ever lived? I think he is, but admittedly, there are several issues with my answer. One: I'm biased, and I'm not even a boxing historian. Two: It's difficult to compare boxers (a) from different weight classes, (b) from different eras, and (c) who faced different opponents. There are two clips which can help me make my case for Pacquiao. Watch them and decide for yourself. First: Here, again, is the CBS 60 Minutes feature on Pacquiao. But note that this was shown about a week before his latest fight for which he won his 8th title in 8 weight divisions (against Margarito who had a 4.5-inch height advantage and almost 17 pounds weight advantage). Second: Here's a YouTube clip I found with some highlights of his past fights. If you have any doubt as to whether Manny Pacquiao is going down in the history books as one of the biggest legends of boxing, then watch this 60 Minutes Exclusive about the P4P (pound for pound) King! Are there Filipino winners in the 2010 US elections? Congratulations to the winners and best of luck! I've had lumpia before, and that's it. Could you please tell me about Filipino cuisine? Everyday eating, not what the restaurants pump out. I'm especially interested in hearing what families cook for themselves, more than what they cook for guests. Has a Filipino Brother-in-Law, But Boy is He Worthless. P.S. Filipino, lots of people start blogs and lose steam. I'm really looking forward to yours, so don't quit on me. Good luck with the questions! Believe it or not, what you see in typical Filipino restaurants are also the dishes ordinary Filipino families cook for themselves on a daily basis. 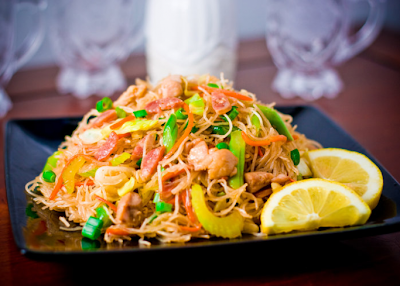 Except for a few fancy Filipino restaurants, most Filipino restaurants serve the home-cooked variety. You have all types of adobo (typically marinated in vinegar, soy sauce and garlic): chicken adobo, pork adobo, chicken-pork adobo, adobong pusit (squid), adobong hipon (shrimp), adobong isda (fish), and other variations. Then you have the sinigang series, which are soups characterized by a really sour flavor, usually by using tamarind, calamansi (Filipino lemons), or guava, and a generous heaping of all sorts of vegetables. 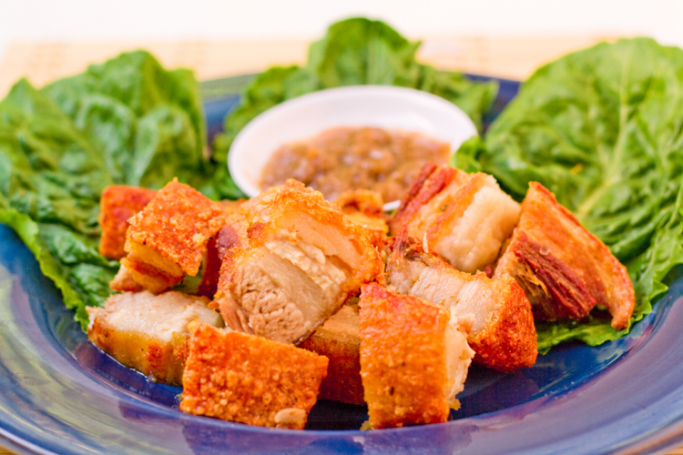 Like adobo, they can be sinigang na manok (chicken), sinigang na baboy (pork), sinigang na hipon, sinigang na isda, etc. Because Filipinos love soups, you have the nilaga (really soupy stew), typically with beef or pork and made healthy by vegetables like bok choy. And the really yummy chicken tinola. You can also have kare-kare, kinilaw (ceviche), ginataan (all sorts of stuff cooked with coconut milk), all sorts of barbecued meats marinated in soy sauce and vinegar, and all sorts of pansit (noodles), which can be cooked in different styles: palabok, bihon, batchoy, etc. RICE. And lots of it! P.S. The Filipino doesn't plan to quit on you, Ishy, but then again, The Filipino has made other plans in his past that, because of one circumstance/reason/excuse or another, he had to abandon. But let's not dwell on this quitting thing and let's just keep wishing each other well, 'k? P.P.S. Did I mention you have to serve RICE, and lots of it, every meal? P.P.P.S. I'm sorry you have a "worthless Filipino brother-in-law"? Are you sure you're feeding him enough rice? Question: Why do Pinays [Filipino women] have dark underarms? 1) Shaving - "If your hairs are slightly darker than your skin color, they can give the appearance that your skin has a dark stain when it`s really just sub-surface hair." 2) Buildup of dead skin cells "trapped in microscopic 'hills and valleys' on your skin." 3) Antiperspirant and deodorant usage - "In theory, some ingredients in these products (perhaps the fragrance) could be reacting with the skin to cause discoloration. Practically speaking this seems unlikely but many people do claim that when they stop using APDs, the darkness goes away." 4) Acanthosis nigricans - "This [medical] condition causes light-brown-to-black markings on the neck, under the arms, or in the groin. It can be related to insulin production or to a glandular disorder and it typically occurs in people who are overweight." 5) Hyper pigmentation - "This condition causes your skin to produce excess melanin pigment." If The Filipino has to hazard a guess, of the five theories above, he will submit that despite the article saying it seems unlikely, Cause No. 3 as discussed is the real culprit to blame for the darker armpits of Pinays (assuming of course that the premise of your question is true). Why? Because of the high humidity levels in the Philippines, Filipinos, men or women but especially women, wouldn't be caught dead with wet, or worse, smelly armpits. So what do they do? Well, what would you do? Load up on antiperspirants and deodorants, of course! On to the questions: Can you name a couple of the top/popular Filipino musical artists? I really need to expand my Filipino music library. I really like Rocksteddy and Spongecola, plus some of the artists my mom listens to while she cooks - Martin Nievera, Jessa Zaragoza, and Willie Revillame (lol). Any others you can recommend? 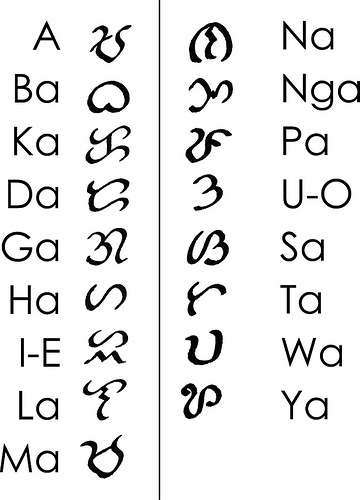 And are there any in Ilokano? I know most of the Filipino music I came across was in Tagalog. Right now, other than American/English songs, my library is filled with K-pop/rock (no surprise right?). I listen to it so much that I'm actually picking up the language - I think I know more Korean words than Ilokano, which makes me rather sad. Hey, thanks for being supportive of the blog! Frankly, I just hope I can do as good a job as The Mexican and The Korean. For online musical resources, The Filipino likes the site titikpilipino.com. Check it out -- it needs some regular updating but its content is really robust. Of course, you can always visit the top media sites run by ABS-CBN, GMA and the like. As for Ilocano music, The Filipino has no personal recommendations. Sorry, sorry, sorry. But the reality is, Ilocano music, like other dialect-based musical genres, is not that popular nationally. But check out these links from opmpinoy and kabayancentral. 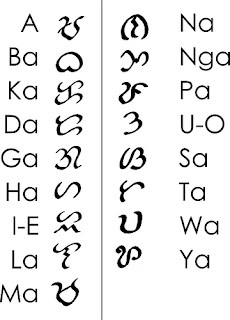 One of these days, I'd like to see provincial artists singing in Ilocano, Bicolano, Visayan, etc., break out onto the national or even better, international scene. K-pop/rock, huh? Well, K-pop is really getting more and more popular, so I don't blame you. But I like the fact that you're trying to reconnect to your roots, because honestly, if there's one thing Filipinos know how to do, it is music. Hello! First off, let me say, I'm loving the blog. I'm a 1st generation Filipino who has lived in America for about...23 years (out of my 25 years). I wonder about the mother country sometimes. It seems that the Philippines is not fully utilizing a lot of the country's natural resources (though I could just be grossly misinformed). Also it seems that the country is not doing much to maintain it's most important natural resource - it's people. From what my relatives tell me, most people try to get out of the Philippines. My cousin in-law (who graduated at the top of his class in medical school) commented on how it's hard to intern (or do his residency) at a really good hospital because you have to pay the doctors there a lot of money - skills and ability are secondary. He's now doing his residency here in America. He commented that the good thing about America is that they pay you for your abilities. I realize that a lot of this is based on familial anecdotes, but is there a degree of truth in any of the scenarios listed above? I don't know where to even begin, so let me start with your question outright: "Is there a degree of truth in any of the scenarios listed above?" I'm imagining your relatives who share these familial anecdotes are not doing so to spread lies about the country, because I don't know of a lot of Filipinos, even if they've gone AWOL in the Philippines, who hate the country per se. I'm sure they've experienced similar situations related to these anecdotes, personally or vicariously through their friends, classmates, acquaintances, etc. For instance, let me share some stories myself: A person I know who was working as a consultant for a top American consulting firm was only making about $400 per month in Manila, but she was always being sent to the US to help out at the site of their American clients. Her stateside peers were easily making salaries by a factor of 10. Thus, being a US resident herself, she quit the Philippine office and then applied and was accepted for the same role, same position in the US for ten times the salary. I also know of doctors, some of whom are friends of mine, who labored through their residency and early years as practicing doctors being paid about $300 per month. Even with the lower lower cost of living in the Philippines, that's still NOTHING! As a result, a lot of Filipinos go abroad in search of better opportunities, better lives for themselves and their families. It is estimated that at least 10% of Filipinos are now living all over the world. You and I are among them. Is it a waste of human resources? In large measure, sure! Because imagine the brain drain that this situtation causes: For instance, it is estimated that there are about 20,000 Filipino doctors who are now living in the US alone, because as you said yourself, in America, "they are paid for their abilities." Personally, the sad part for me about the whole thing, as someone who migrated myself to the US, is when other Filipinos begin to deride those who leave the country as "traitors," as people who "bailed out" on the country, without regard to the complexity and multi-facetedness of the issue of leaving the Philippines "for greener pastures." Many people don't realize it's really a very personal and often difficult decision. As Jose Ma. Montelibano, a well known columnist and an executive of Gawad Kalinga (an amazing nonprofit which is aiming to end poverty in the country) recently noted in his column, "greener pastures have more to do about opportunity, about choices, than just plain income." "Leaving the motherland is hardly because there is a diluted sense of patriotism, but because patriotism itself is denied development in a citizen's heart. To the life of a poor person or family, what then is country? What would make a poor person or family, landless and without the right to be in any square meter in their land of birth - and without the means to rent that right? What benefits are derived from a land of obvious plenty by a Filipino family who is only a step ahead of hunger while public officials of the land can spend millions for a dinner in New York? What can make a Filipino love the Philippines other than a birth in a motherland not yet of his or her choice?" "The challenge now rests heavily on the shoulders of Filipinos who have reason to love our motherland. It may be that, like me, the circumstance of birth favored me economically, socially and politically. It may be like those who built on their boldness, on their education, on their perseverance, and, most likely, on their business sense, and can now help others. It may be that, like most Filipinos, a basic goodness, a sense of bayanihan and a commitment to walang iwanan, transcends personal interest in order to give succor to a fellow Filipino. When Filipinos go beyond the boundaries of family and clan to care for another as a brother or sister of the same motherland, then even the impoverished and marginalized are given good reasons to love country and race." Thanks for your email (especially your "loving the blog") and I hope you will find a way to help the Philippines in your own way from time to time, not just "wonder" about it. P.S. I can tell you right now I'll have much more to say later about this issue of out-migration and the Philippine brain drain as the blog further develops.